Select the date and time you’d like a cleaner to show up. Our trusted cleaning professional shows up to clean your home. Relax and enjoy and your sparkling clean home! 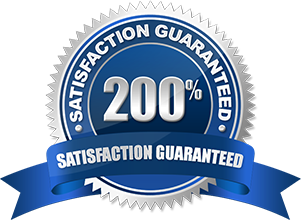 With our recurring cleaning service, we provide you with an outstanding cleaning job. Our dedicated cleaners are true professionals and always make sure your home looks new again. With our move out cleanings, you'll never have to worry about anything. Houses and apartments can gather years of dust and dirt. From top to bottom, we’ll clean and sanitize everywhere, and give you a stress-free solution. 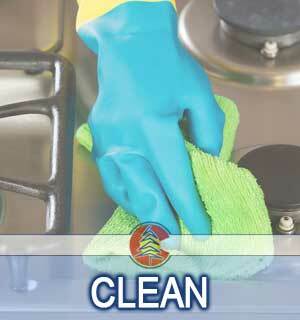 We are Blue Spruce Maids – a house cleaning service in Colorado that serves Arvada, Broomfield, Denver and many more. “I was nervous having having new people clean, but WOW! These two were great! I have never seen our house so clean. They did all the baseboards, floors, my bathroom, kitchen; who knew my appliances and bathtub could look so nice. “From start to finish, Blue Spruce Maids exceeded our expectations. Booking was a breeze, and the owner, Lawrence, was very responsive and professional. We needed a move out cleaning for our rental property, and they did a great job. After seeing their high quality work, we decided to book them again for our first professional cleaning in our own home. We’ll bring all the equipment & supplies that we need so you don’t have to worry about a thing. We’re always easy to reach online, by email, or phone. We rigorously interview every cleaner and run thorough nation-wide background checks. Blue Spruce Maids helps you live smarter by giving you time to focus on what’s most important in life. Our online booking and payment system takes all the hassle out of scheduling your cleaning appointments. If you’re not completely satisfied with your clean let us know and we’ll come back to re-clean at no additional cost. © 2019 Blue Spruce Maids. All Rights Reserved. WE HAVE TWO SPOTS OPEN! Sorry for the inconvenience but we aren’t able to offer much online booking right now. Do you want us to contact you directly and try to fit you in asap?